Two goals that I would like to achieve this year is to learn how to program (likely Python) as well as learn more about Linux. So last week I completely wiped my HP laptop that used to run Windows 7 Pro and installed Linux Mint 17.1. However, I had a nested ESXi lab within VMware Workstation when I was running Windows and wanted to do the same on my new Linux install. I found this wasn’t just as simple as downloading an .exe and running the file, like it is in Windows. There are a few dependiences that are needed first, below is the steps I took to install VMware Workstation 10 on Linux Mint 17.1. 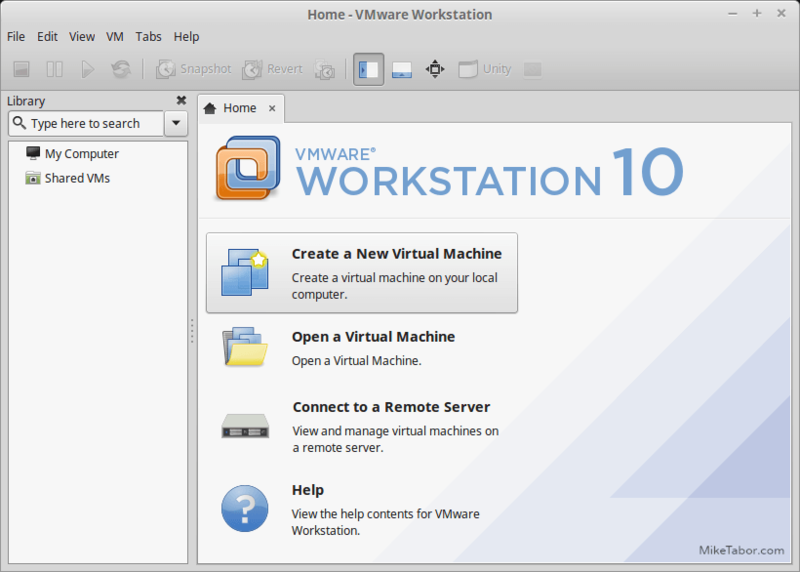 Note: If you haven’t already, go ahead and download VMware Workstation 10 from the VMware website. Once the dependencies have finished, change the current working directory to where ever you’ve downloaded VMware Workstation, in my case the Downloads folder. Note: You could also do this via the GUI by right clicking on the VMware Workstation file and going to Properties > Permissions > Allow executing file as program. But since we’re already in Terminal, why not? From this point forward it’s the typical install wizard, a few Next‘s then an Install and then that’s it, you’re ready to go! Now I just need to setup the nested ESXi 5.5 lab again and I’ll be good to go!